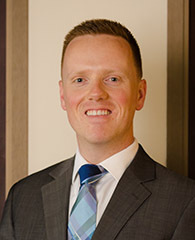 Jason is the firm’s Director of Audit and Accounting, and has been practicing since 2010. He provides audit, accounting, and consulting services to closely held businesses and their owners, serving clients in a wide variety of industries, including retail dealer services, real estate and construction, hospitality, manufacturing, start-up organizations, and employee benefit plans. Jason received his Bachelor of Arts in Accounting and his Masters in Accounting from Washington State University. Jason is a member of both the American Institute of Certified Public Accountants (AICPA) and the Washington Society of Certified Public Accountants (WSCPA). In his spare time, Jason likes to play golf, travel, and spend time at the coast with family and friends.